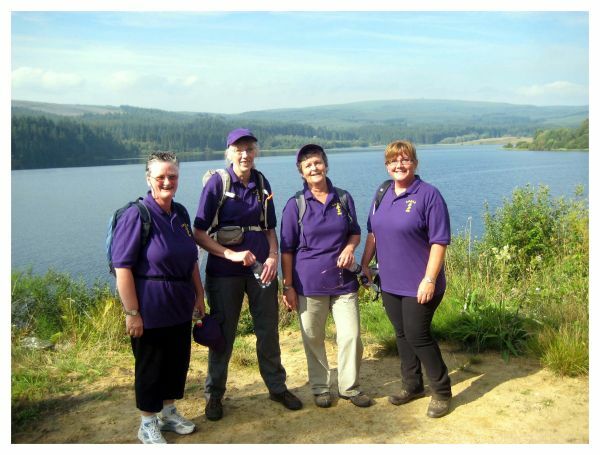 The Kielder Challenge Walk has become one of the most popular challenge walks in Northumberland over the past few years. The route is easy to navigate and is great underfoot so is suitable for runners as well as walkers and what better location. The route encircled Kielder Reservoir. After checking in on the day you are on your way along the 25-mile route. Initially, you go along the remote North Shore passing through checkpoints on your way. Water and snacks are available on route and a support vehicle is on hand all day, to pick those up who drop out. Emergency first aid is on site all day, so you can relax and enjoy a great days walking. People perceive it is a flat route, but the Kielder Challenge Walk goes up (and down) 1,500 feet over the 25.3 miles. It is a great day and is a very popular event, please do book early. This challenge walk is dog-friendly, please do bring your dog along on the walk.